So my mind has been racing and I have notes and tiny sketches all over every slip of paper, envelope and sticky note in my studio. I have ideas flowing out my imagination and not enough time in the day to put it together. So I got focused yesterday and got started thinking about the first theme: Alice in Wonderland. Everything Wonderland is very popular this year, and Etsy doesn't have too many options for children in the costume sense, so I decided that I would get rolling in that direction. I don't want to copy either Disney version, but be similar...with my Sew Cute twist. 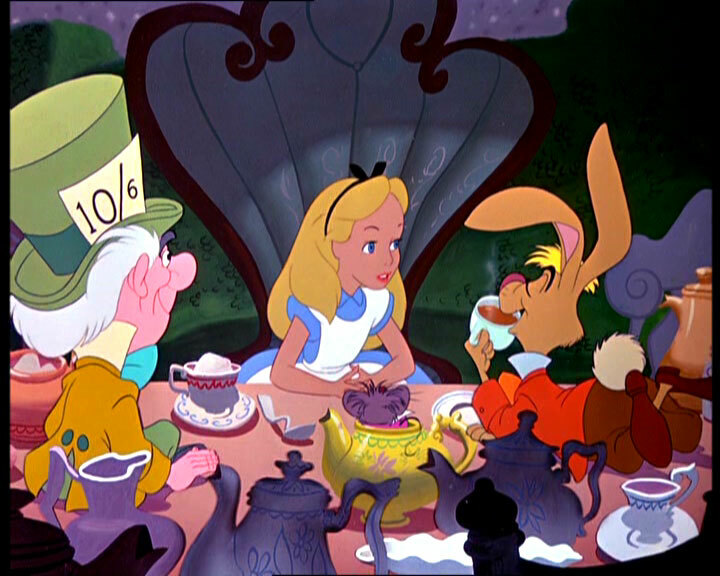 So I collected some inspirational pictures, I decided to focus on the tea party scene for the 2011 collection. 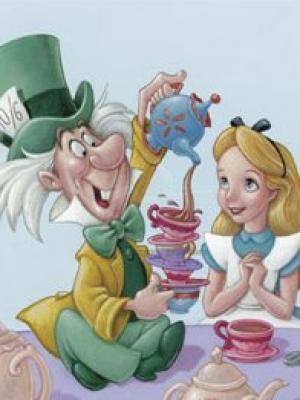 And now I am off to work on the girls version of the Mad Hatter!